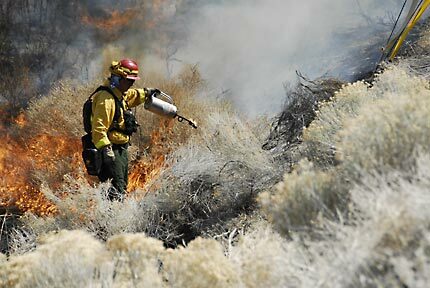 CARSON CITY, Nev.–Despite nine straight days of rain over western Nevada, area fire officials say they are preparing for another dangerous fire season. A group of officials representing federal, state and local agencies briefed Gov. Jim Gibbons on their predictions Thursday. Forestry Division Fire Program Manager Mike Dondero told him five of the 10 worst fire seasons since 1960 have been in the past seven years. DAYTON, Nev.–Join a historian on a tour of the Rock Point Mill site on Saturday, June 14 from 9:00 a.m. to 11:00 a.m.
Now just a quiet spot across from the Dayton State Park’s entrance, the site, after gold and silver were discovered in the 1850s and 60s, was anything but quiet. The Rock Point Mill was one of the largest stamp mills on the Carson River and one of the only ruins left from those mining days. 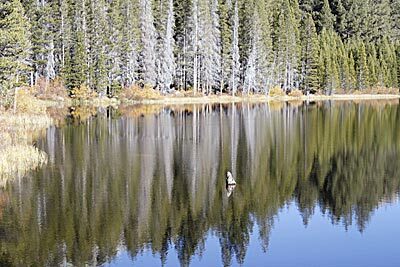 CARSON CITY, Nev.– Lake Tahoe Nevada State Park personnel announced yesterday a temporary closure of portions of the Marlette and Hobart Backcountry area. The closure will be Monday through Friday and will last through September. ELKO, Nev.–Elko was recently named a Tree City USA community by The National Arbor Day Foundation to honor the city’s commitment to community forestry. 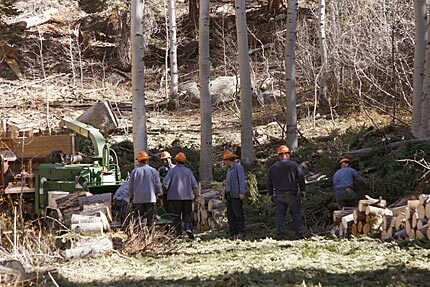 Eight other Nevada communities re-certified their “Tree City USA” designation for their activities in 2007. The “Tree City USA” award recognizes communities that effectively manage public tree resources. More than 3200 communities ranging in population of a few hundred to several million were awarded the “Tree City USA” status this year. Reproduced in full from the Las Vegas Review-Journal. Investigators just wrapped up a fruitless dig for bodies at Charles Manson’s hide-out in California in Death Valley, but you don’t need a shovel to find what the Manson family might have left at one Nevada ghost town. If someone is around to let you inside the old Nye County courthouse in Belmont, you can look for it on a door frame on the first floor — a simple patch of graffiti that now carries haunting undertones. 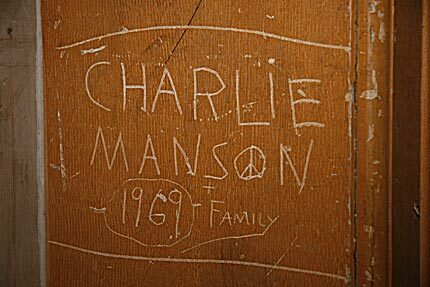 Many old-timers in central Nevada believe the mark was left by a member of the doomsday cult, maybe even Charlie himself. And though state officials and historians won’t confirm the notion, they don’t exactly reject it either. “I have more reason to believe it than I do not to believe it,” said Eric Johnson, region manager for the Nevada Division of State Parks. Even State Archivist Guy Rocha, a man who has dedicated his career to busting fantastic-sounding historical myths, doesn’t completely dismiss the story of the Manson family in Belmont. For one thing, he saw the graffiti himself decades ago. 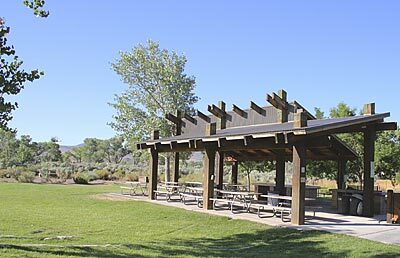 SILVER SPRINGS, Nev.–Nevada Division of State Parks personnel are gearing up for a busy Memorial Day weekend at Lahontan State Recreation Area. You are currently browsing the Nevada Dept. of Conservation & Natural Resources News blog archives for May, 2008.